Raharpy is the meta-form of Rahawk. Although it has become slightly slower in flight, it more than makes up for it with its improved melee and ground combat skills. It will leap and flutter about, avoiding an opponent's attacks, striking with its talons and all four of its wings, which are armed with razor sharp feathers. This serves it well as a thief; it is capable of catching its own prey, but it prefers to bully other Kreatures and pirate their kills instead. 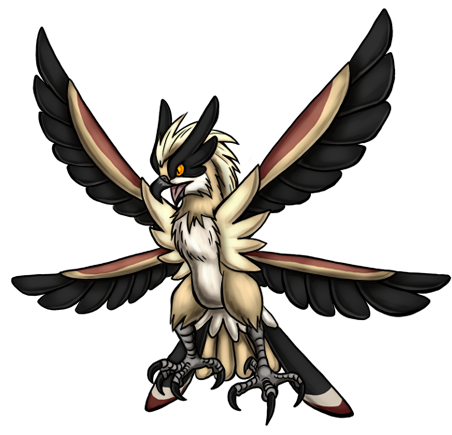 Though Raharpies in general are known to be ill-tempered, females are even more aggressive than the males. Congratulations on your 200th comment!